New UN report finds Assad's regime was responsible for sarin gas attack in Khan Sheikhun. 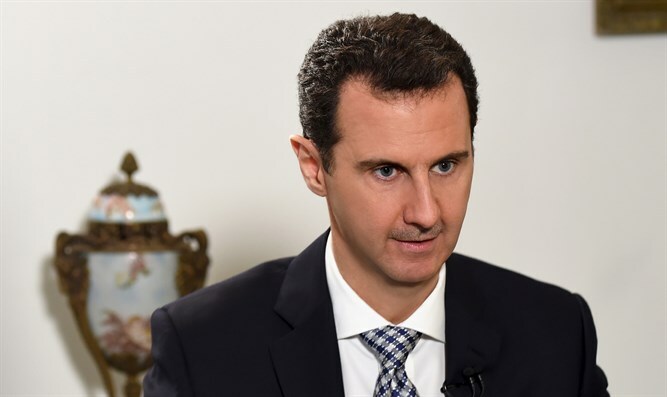 A new UN report finds that Syrian President Bashar Al-Assad's regime was responsible for the sarin gas attack in Khan Sheikhun, a rebel-held town in the northwestern Syrian Idlib province this past April. "The panel is confident that the Syrian Arab Republic is responsible for the release of sarin at Khan Sheikhun on 4 April 2017," states the report, seen by AFP on Thursday. More than 87 people died in the nerve gas attack on the town. Horrific images from the immediate aftermath of the attack drew global outrage and prompted the United States to fire cruise missiles at a Syrian air base from which the West says the assault was launched. Last month, UN war crimes investigators said they had evidence that the Syrian air force was behind the attack. The Syrian regime denies having any connection to the April attack and, in general, to any chemical weapons attacks in Syria. Assad has even claimed that the Khan Sheikhun attack was fabricated by the United States. Syria ally Russia maintains that the sarin attack was most likely caused by a bomb set off directly on the ground, not by a Syrian air strike as alleged by the West. Earlier this week, Russia vetoed a U.S.-drafted resolution that would have extended for a year the mandate of a UN panel investigating who is behind chemical weapons attacks in Syria.